Solid and stylish, our wooden dining chairs are of the highest quality. Manufactured from the finest grade-A teak, these garden dining chairs are more durable than both their plastic and other wood counterparts. 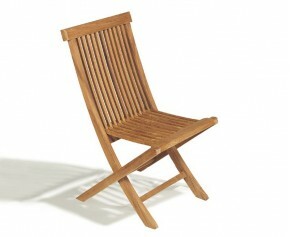 This outdoor teak dining chair / side chair takes al fresco dining to new comforts. 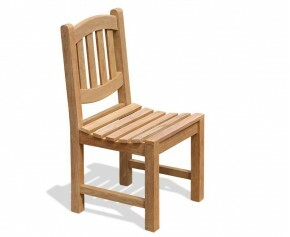 Expertly constructed in the traditional manner of mortise and tenon joints for added durability, this Ascot teak dining chair has been built to last and is guaranteed to give you trouble free pleasure for years to come. 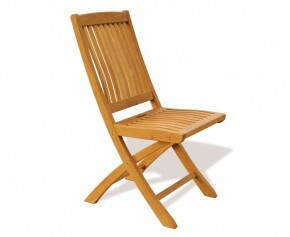 Take dining al fresco to great heights with this beautifully hand crafted Bali folding teak chair. Manufactured using sustainable sourced A-grade teak, this Bali folding garden chair can remain outdoors all year round with minimal maintenance, guaranteeing years of trouble free and fruitful use. 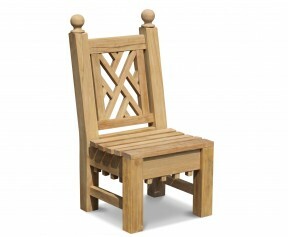 Take al fresco dining to greater heights with this stylish Balmoral garden teak dining chair. 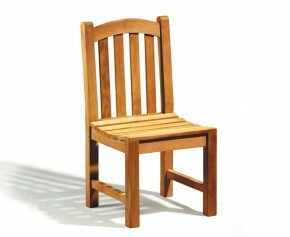 Constructed in the traditional manner of mortise and tenon joint this teak dining chair has been built to stand the test of time, guaranteeing trouble free pleasure for years to come. This expertly crafted Princeton teak garden lattice back chair otherwise known as a Chinoiserie chair offers a little more design than standard garden chairs and features an intricately designed back rest which would look stunning in any outdoor setting. Add functionality and style to your outdoor space with the addition of this expertly constructed Hilgrove teak stacking garden chair. Offering plenty of options for garden functions and events, this stacking garden chair can be easily stored away when not required and provides a clever option to incorporate extra seating without taking up too much room. 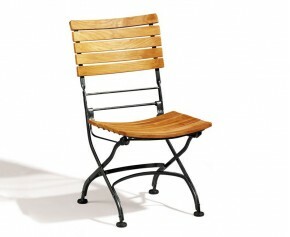 A popular choice, this Yale teak garden bar stool with back creates a modern and eclectic look in your outdoor space. Expertly manufactured in sustainably sourced, plantation grown A-grade teak, this teak garden bar stool with back has been designed to last and can remain outdoors all year round with no fuss, guaranteeing year of trouble free service. 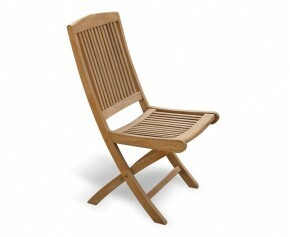 A popular choice, our teak Ashdown childrens teak folding garden chair has been manufactured in sustainably sourced, plantation grown genuine A-grade teak and has been designed to not only survive the test of time but to also offer the same aesthetic beauty in years to come, representing great value for money. 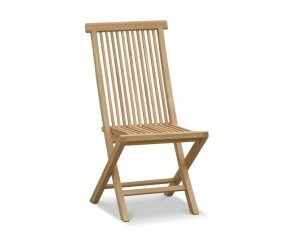 Take Al-fresco dining to new heights with this beautifully crafted Ashdown folding garden chair. Expertly manufactured with the highest grade plantation grown teak, this fold up chair has been designed to last and is robust enough to be left outdoors all year round with minimal fuss, ensuring years of trouble free pleasure and fruitful use. Beautifully hand crafted by experts this all weather wicker rattan armchair has the natural look of wicker but with greater durability. Expertly woven with synthetic Rehau wicker, this all weather wicker rattan armchair is practical, comfortable, stylish and is suitable for both indoor and outdoor use. Representing brilliant value for money, our Riviera wicker rattan dining chair has the natural look of loom but with greater durability. Expertly woven with synthetic Rehau wicker fibre over a sturdy aluminium frame, this wicker rattan dining chair is practical, stylish, comfortable and is suitable for both indoor and outdoor use. 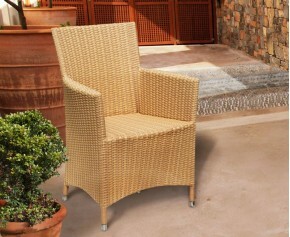 Representing brilliant value for money, our Riviera rattan garden armchair has the natural look and feel of rattan but offers greater durability. Expertly woven with synthetic Rehau wicker fibre over a sturdy aluminium frame, this rattan garden armchair is practical, stylish, comfortable and is suitable for both indoor and year round outdoor use. 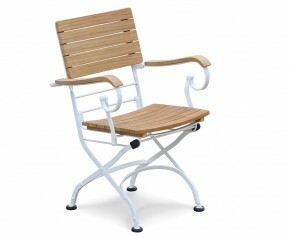 Our bistro folding armchair is now available with a white frame to suit any decor. 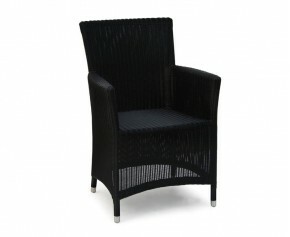 This garden bistro armchair is suitable for both home use and commercial use in cafés, bars and restaurants. 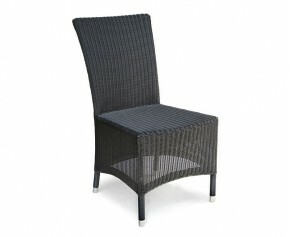 Our bistro outdoor dining chair is now available with a satin white frame to suit any decor. 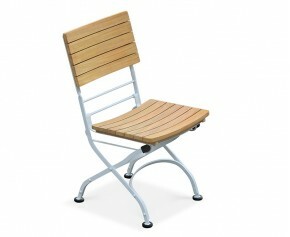 This bistro folding side chair is suitable for both home use and commercial use in cafés, bars and restaurants. 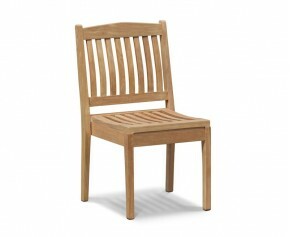 Our teak dining chairs are weather resistant and can remain outdoors all year round with minimal fuss. Sanded down for a glossy finish, our wooden dining chairs will look stunning in any outdoor setting, and when teamed with our other garden furniture, will make an attractive focal point. We offer a wide variety of teak dining chairs, from our Bistro wooden dining chairs to our Bali folding garden dining chairs, so you are guaranteed to find ideal chairs to suit your style and purpose. 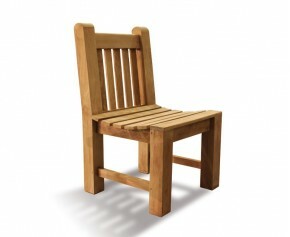 View our range of wooden dining chairs.